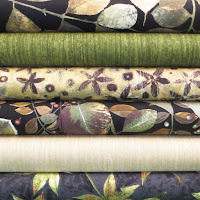 Pelenna Patchworks: New fabrics from P&B and Studio e - Shades of Autumn and Cream & Sugar! New fabrics from P&B and Studio e - Shades of Autumn and Cream & Sugar! New in this week we have the beautiful Shades of Autumn patchwork fabric range by Norman Wyatt Jr, his third fabric collection for P & B Textiles. This gorgeous, grown up collection features metallic accents and rich deep colors of orange, gold, cream, forest green, rust and black. Released in plenty of time for Autumn, the range includes designs of leaves, wood grain and berry-like branches accompanied by the artists' signature artistic design. Available as a stash pack or discounted fat quarter pack. Also new to the shop is the Cream & Sugar fabric collection - stylish and understated, this patchwork fabric range from Studio e fabrics is a great choice for the modern home. 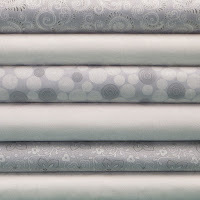 In soft greys and pure white on white, these fabrics have a clean look giving a quality finish to your projects. Again, we have all six prints available as a stash pack or fat quarter pack giving 5% off ordering the fabrics separately. 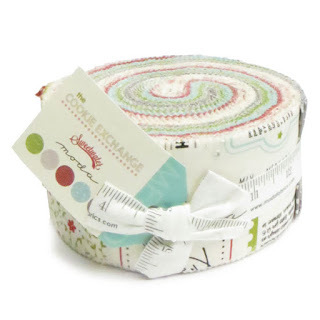 Finally, our latest bundles from Moda are the Christmas cookie themed The Cookie Exchange jelly roll and layer cake, designed by Sweetwater designs.